If you are looking for home remedies for acne, you are not alone. There are many options when it comes to treating acne, but millions of people prefer to go with a home remedy. Often times this is because they would like to save money, use products they already have on hand, or they want to avoid particular ingredients. When you make your own home remedies, you will have more control over what you are using and what goes into it. This often means that what you are using for treatment will be more affordable, as well as safer. Plus, there are some great home remedies that you can use to treat acne, as well as have beautiful skin. There are numerous home remedies that can be used to treat acne successfully. Around 80 percent of people experience acne in their lifetime, and the vast majority of it is a result of genetics. Despite that, there are many options you can turn to in order to help clear up the acne and have beautiful skin. If you suffer from acne, you are not alone. It’s a very common problem. In fact, according to the National Institutes of Health, around 80 percent of people who are between the ages of 11 and 30 will have acne at some point. While adults can have acne, it’s much more common for those in their teen years to experience it. No matter how old you may be, nobody likes to have acne. The good news is that understanding what it is and what causes it will help you be more successful in addressing it. There are many different things that contribute to acne. You can still successfully use home remedies for acne even if you can’t pinpoint what has caused it. Some of the common reasons that people have acne include wearing oily makeup, eating foods that contribute to it, having too much stress, and hormonal changes. There are also contributing factors that you cannot do much about, such as heredity. There was a study published in the Journal of Investigative Dermatology, where researchers reported that genetics have a major influence on acne. This means that you could be doing everything right and still end up with acne, simply because it’s in your genes. Even if that is the case, you can still take measures to treat the acne, clear it up, and go on to have beautiful skin. When it comes to treating acne, there is no one size fits all. Just as people are different, so too are their skin types, budgets, preferences, allergies, and so on. To successfully treat your acne with home remedies, you need to determine which option will work best for your unique variables. Consider the amount of time you want to put into it, the budget you have to work with, the type of skin that you have, and what appeals to you. With those variables in mind you can choose an option to try and see how it works for you. While most people have success with these remedies, it’s still no guarantee that they will work for everyone. The key to a successful acne treatment is to find what will work specifically for you. If you try one home remedy and don’t care for it, just go on and try the next. Some things will appeal to people more than to others. For example, some people have a difficult time with the smell of apple cider vinegar, so it may be hard for them to put it on their face each day. Find the remedy that appeals specifically to you. People have been using apple cider vinegar for various health reasons for thousands of years. It’s very versatile, being used for everything from fighting blemishes to treating upset stomach. Apple cider vinegar is made through a process of fermenting vinegar. It’s readily available in stores and is affordable, making this an easy home remedy for treating acne. Plus, whatever you don’t use on your acne, you can keep on hand to cook with or use for other health issues. One of the most popular home remedies for acne, apple cider vinegar is powerful stuff. According to the U.S. National Library of Medicine, it contains both an antimicrobial and antibacterial property. This makes it beneficial for helping to kill any acne-causing bacteria that may be on your skin. May people also use it as a natural astringent, because it can help to restore your proper pH balance. To use this to treat acne, purchase a bottle of organic apple cider vinegar that is with the “mother,” which are the cloudy particles floating around in the bottle. In a glass container, mix one part apple cider vinegar to three parts water. You can use cotton pads or swabs to dab it onto the area with acne. Do this twice per day for the best results. You should begin seeing results within a couple of days. If you have irritation or you have sensitive skin, you may need to dilute it with more water. Takeaway: Apple cider vinegar is a natural substance that is affordable and easy to use. It’s one of the most popular home remedies for acne. Just be sure to buy a bottle that is organic, so you get the properties needed to help treat the acne, without putting unwanted chemicals on your skin. One of the easiest and most effective home remedies for acne are essential oils. They can be purchased in little bottles on their own, or you can find skincare products that use them as ingredients. Essential oils are the “essence” of a plant that is derived through either a steam or pressure process. Within that oil you get the many benefits that help to clear up skin, including natural antibacterial and antimicrobial properties. There are many different types of essential oil that can be used for treating acne at home. In fact, according to a study published in the journal Evidence-Based Complementary and Alternative Medicine, at least 90 different essential oils are being used in the field of dermatology, and they can create around 1500 different combinations. Some of the essential oils they name as being beneficial for treating acne include tea tree oil, peppermint, spearmint, basil, lavender, violet, and thyme. To use essential oils as one of the home remedies for acne, decide which one you will try. One of the most popular options is tea tree oil. Pick up a bottle of it at your local health food store or online, and then use a cotton swab or pad to apply it to your acne spots 2-3 times per day. Once it dries, you can then moisturize your face as normal. Takeaway: Essential oils are natural products that are also affordable. Many of them can effectively treat acne, as well as help with acne scars. Give one a try and see what it does for your skin. 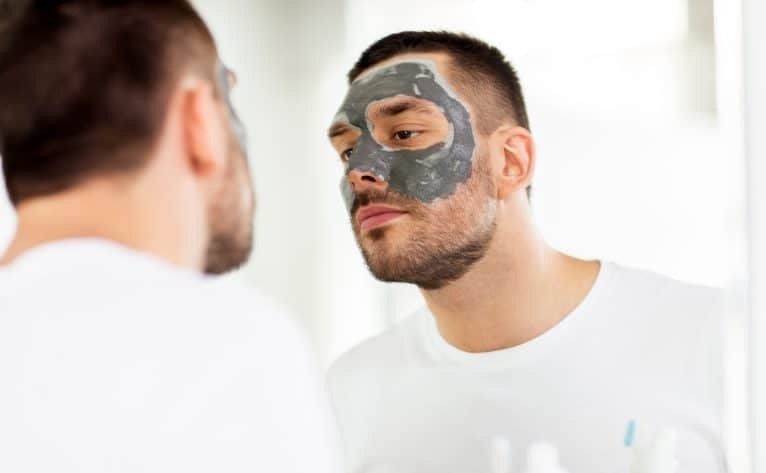 You have probably seen people on television wearing face masks, but you may not have tried them yourself. They are easy to use. All you need to do is apply the substance in an even layer over your face, let it sit for the allotted time, and then gently peel it off. When you use a face mask to treat acne, you will be helping to remove dirt from your face, and to also help nourish it. Face masks are a great option for helping to treat acne and have clear skin. Face masks can be purchased and used at home, even though many people go to the spa for them, and can be great home remedies for acne. Home versions of them will save you a lot of money, as well as time. You can also make your own face mask for acne. All you need to do is use yogurt, spreading it on your face, letting it sit for about five minutes, and then gently washing it away. Other options for making home face masks for acne include mixing yogurt with ¼ teaspoon of fresh lime juice and 1 teaspoon of jojoba oil. To get the best results, use a face mask for acne three times per week. You can also use other products with it, such as moisturizers. Takeaway: Face masks for acne are affordable and effective. You do not need to go to a spa or dermatologist to have them done. You can purchase one inexpensively to use at home, or you can make your own. You can’t consider home remedies for acne without taking a look at your diet. There has been plenty of research to back up the fact that certain foods do in fact contribute to acne. It’s important to learn what those foods are and then try to make some changes to see if it helps to clear up your acne. At times it may seem difficult to make dietary changes, but once you get used to the food swaps it will seem easy and you will enjoy the clear, beautiful skin. There are numerous foods that have been found to cause acne, including unhealthy fats, full-fat dairy products, unhealthy carbohydrates, and chocolate. For many people, carbs make up a large part of their diet, so it’s important to take a look at the quality of carbs you are consuming. In a research article published in the Journal of Drugs in Dermatology, researchers reported that carbs are the main culprit when it comes to dietary contributions to acne. They advise that dermatologists should encourage their acne patients to keep high-glycemic foods to a minimum. If you are going to make dietary changes to help address acne, try swapping unhealthy fats for healthy ones (e.g., pizza for avocado), switch to skim dairy products, minimize the chocolate, and avoid high-glycemic foods. These include breads, rolls, chips, and some cereals. Not only will this help you address acne, but you are likely to gain additional health benefits, too. Takeaway: If you are like most people, you are eating two to three times per day. What you put into your body has an impact on your skin, and some things can lead to acne outbreaks. Take a look at your diet to help clear up blemishes and have beautiful skin. Depending on where your acne is located, there is a chance it could be caused by products you are using. The hairline and cheeks are especially prone to getting acne if you are using products that will clog your pores. It’s important to make sure you are using hair products that don’t contain pore-clogging ingredients. It’s equally as important that you are not using oily makeup. If you do either of these things, it can cause acne breakouts. Simple home remedies for acne include making the necessary change in your hair and makeup products. Opt for hair products that are non-comedogenic, so that they do not plug your pores. Also, be sure that you are rinsing your hair well after washing, and that if you use hairspray you are covering your forehead, so that it doesn’t get on your skin. Make a simple swap of your makeup to help clear up acne, by opting for one that is non-comedogenic and is not oily. You will also want to be sure that you gently wash the makeup off your face each night before bed. Takeaway: There are hair products and makeup that can lead to acne outbreaks. Take a look at your shampoo, conditioner, hair sprays, gels, and makeup, to see if you could benefit from making a switch. By opting for products that won’t clog your pores, you will be choosing a simple home remedy for acne that will be effective and affordable. Adding a simple probiotic to your daily schedule can be one of the most effective home remedies for acne. Probiotics are live micro-organisms that provide a range of health benefits. Many people take them regularly to help with their overall health, their gut health, and for numerous other specific reasons. You can take them in a pill form as a supplement, or you can add them to your diet by eating things like yogurt, and drinking things like kombucha, which is a fermented tea. In a study published in the International Journal of Women’s Dermatology, researchers looked at how probiotics can be used to help with acne, among other health conditions. They reported that there have been clinical trials that have shown probiotics used topically are helpful in treating acne. They suggest that probiotics may improve acne from a systemic and mechanistic level. Overall, they concluded that the evidence supporting the use of probiotics to treat acne is mounting, making them a great option to try as a home remedy. Takeaway: Probiotics provide health benefits when used both topically and orally. They can be purchased at health food stores and online, and they have been found to be effective at clearing up acne. Give them a try and see the host of health benefits that they provide, even beyond giving you clear skin. If you endure a lot of stress in your life, it could be the reason why you have acne. Stress changes our health over time, and not for the better. In a study published in the journal Inflammation & Allergy Drug Targets, researchers looked at the brain-skin connection as it relates to stress, inflammation, and skin aging. They concluded that skin actively participates in the stress response and that it is a target of psychological stress. For this reason and many more, it’s important to keep stress in check so you can have clear skin and a healthier life. There are many ways to reduce stress, but most people get so caught up in their day-to-day plans that they don’t take the time to engage in them. Find ways to relax and de-stress, so that your health, and skin can benefit from it. This could be the most rewarding of the home remedies for acne, because it will improve your skin and your psychological well being. Some of the many ways you can reduce stress include engaging in meditation, journaling, exercising, talking to a friend, doing yoga, etc. Takeaway: Stress not only hurts your mind, but it hurts your body, including your skin. Find a type of stress-busting activity that you enjoy and engage in it regularly. Try several things until you find one that works for you and that you enjoy enough to stick with for the long haul. Exposed. The Exposed Skin Care treatment system offers everything you need to clear up acne prevent future outbreaks, and to have clear, beautiful skin. In fact, 98% of users have reported that within 30 days they saw results. This complete acne treatment system comes with a probiotic, to help put good bacteria into your gut, as well as a microfiber cloth for gentle exfoliating. The system has everything you need to clean, treat, and moisturize your skin, saving you money, and putting you on the right path to great skin. Essy. Users give this acne treatment cream great reviews, keeping it one of the top-rated products. Essy contains a mixture of natural ingredients, including ginseng and aloe. Not only is it powerful at helping to address acne, but it will help restore skin to its natural beauty. Replenix. These acne face pads contain the powerful ingredients glycolic acid and salicylic acid. Working together, they are able to clear up acne quickly. They unclog pores, eliminate dead skin, and provide a gentle exfoliating. Those who have used these cleansing pads report that they also helped with acne scarring. Q. What is the best of the home remedies for acne? A. There is no one best option when it comes to acne home remedies, but there are several great options to choose from. Evaluate the options to determine which would work best for you and then give them a try. Q. Are these home remedy option for acne safe to use? A.Yes, most are safe to use. However, you should exercise common sense and caution when using anything new on your skin. If you see it causing irritation, you may need to stop using it or dilute it more. Q. Can you make home remedies yourself or do you have to buy them all? A.There are home remedies you can buy, as well as ones you can make at home to use. However, even making ones at home will still require you to purchase the ingredients to do so. Q. What is the advantage to using home remedies for acne? A. 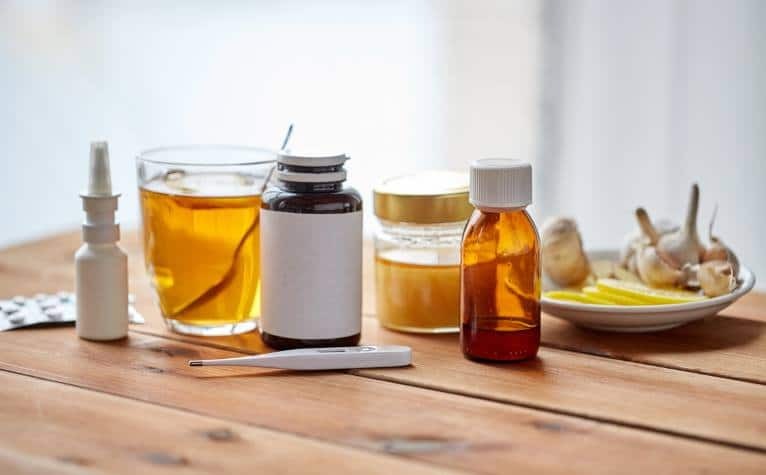 Some of the advantages include saving money, having more control over what goes into your remedy, and trying products that are usually natural.